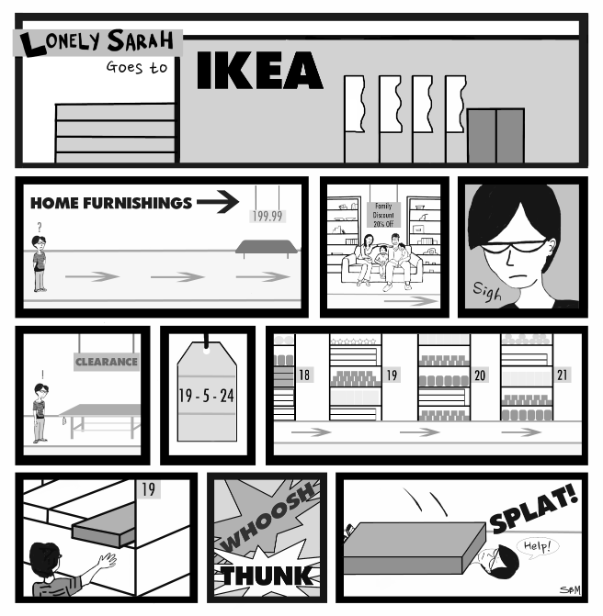 I have developed a comic book character named Lonely Sarah. The comics are about a character (loosely based on myself) who is trying to make it on her own in the world, but meets with a series of challenges when she is out doing things alone. 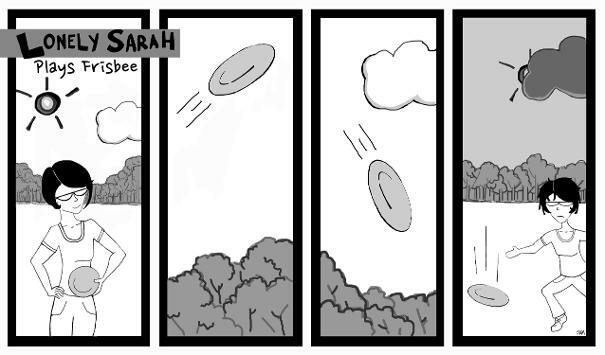 These comics are drawn by me and occassionally guest artists. 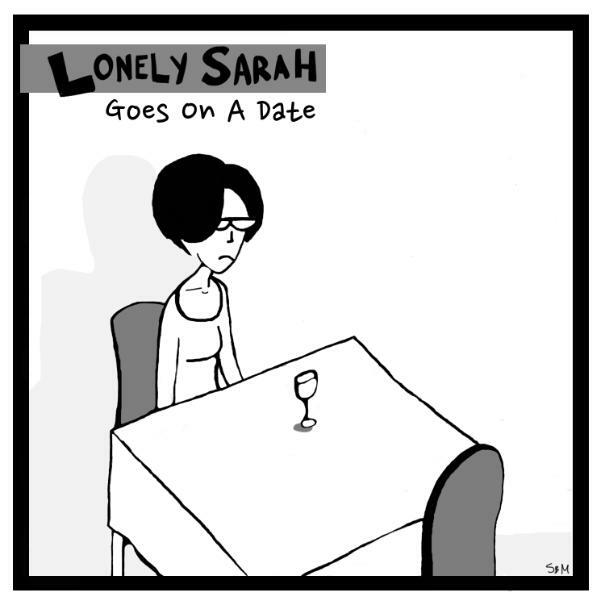 If you are interested in collaborating on a Lonely Sarah comic e-mail: sarahbmccann@gmail.com. 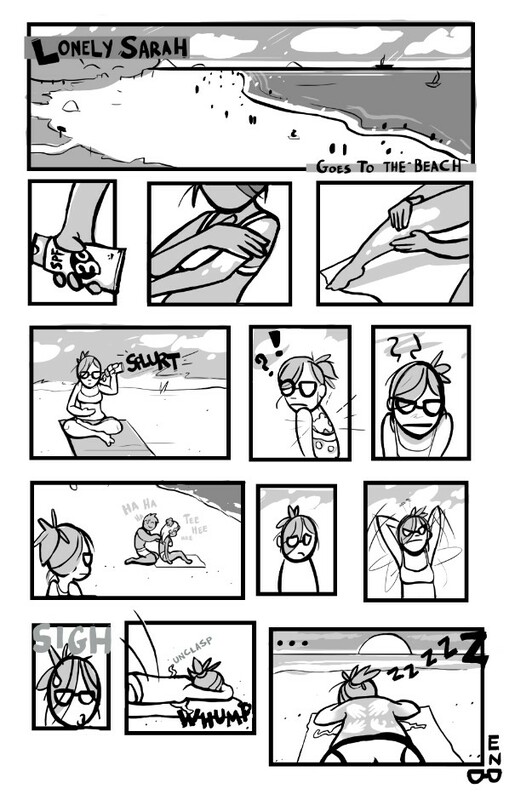 Lonely Sarah Goes to the Beach was designed and illustrated by Shaun Martin, Senior Artist at Big Huge Games and graduate of Maryland Institute College of Art.